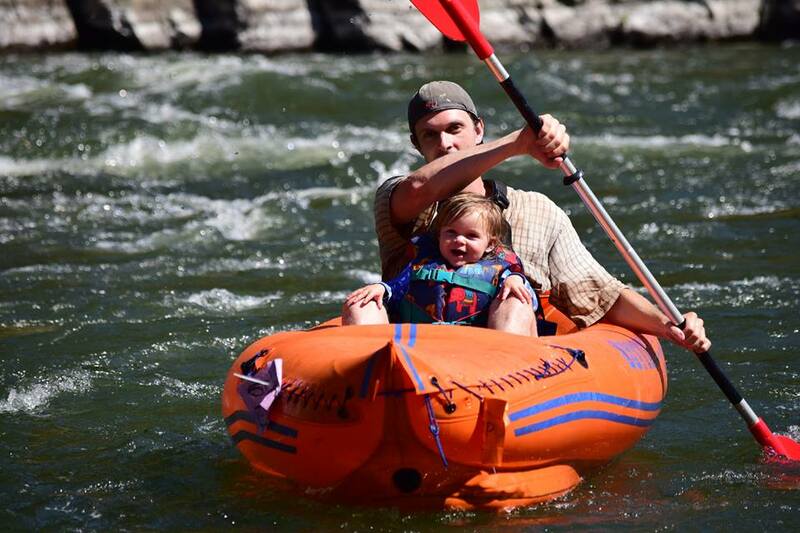 Zach Urness and his daughter, Lucy, navigate the Rogue River. 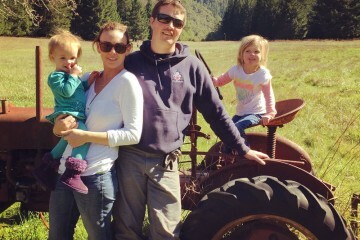 Zach Urness is a “writer of words about topics related to Oregon’s outdoors.” He lives in Salem, Oregon and writes for the Statesman Journal. 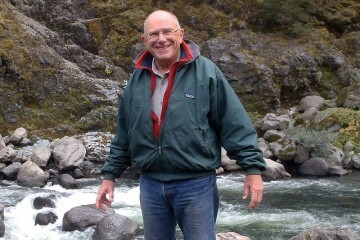 Previously he worked for the Grants Pass Daily Courier, covering both their outdoor section and youth sports. Random Fact: In his own basketball days (a tremendously long, long time ago), Zach once guarded the ex-husband of Kim Kardashian on the basketball court (NBA baller Kris Humphries). 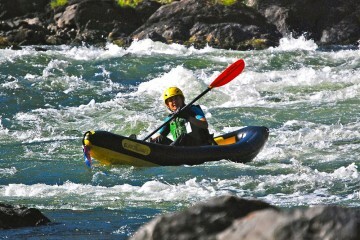 How were you introduced to the Rogue River? 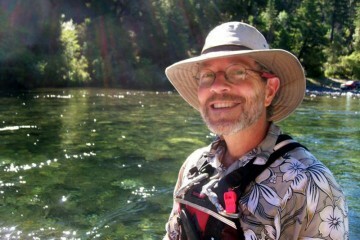 When I was an outdoors reporter in Southern Oregon, the Rogue River was the center of the universe. 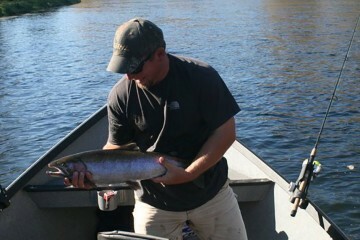 It’s pretty tough to do that job without a working knowledge of the river. A lack of that knowledge —indeed, any misspelling of something Rogue-related — will inspire people to say unpleasant things about your upbringing. 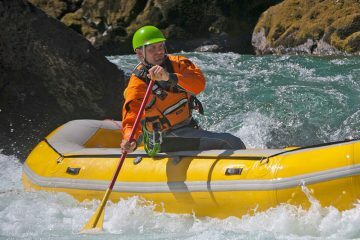 What are your favorite qualities of the Rogue River? 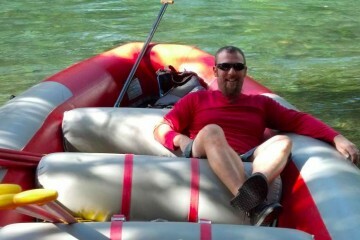 On Saturday mornings throughout the year, I’ll wake up, make coffee and head to the Rogue River. 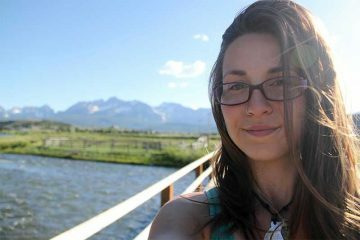 The hot summer days usually find me floating into the canyon scenery between Ennis Riffle and Grave Creek, leisurely and happy, the spray of rapids and warmth of sunshine alternating in mindless hours below cliff walls. If it’s autumn, I’ll probably be driving toward Tou Velle or Valley of the Rogue State Park with a fly-rod in the trunk and thoughts of steelhead in mind. 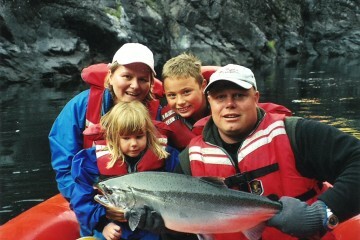 I might tempt the wrath of Nugget-Powerhouse’s Class IV rapids in a hardshell kayak, or troll more peaceful water for spring chinook. 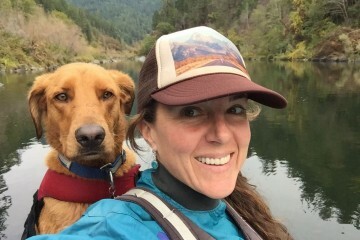 The Saturday adventures on the Rogue River change with the seasons, but the uniting theme is that they’re always available. The river is a friend who’s occasionally moody and even violent, yet is always there, just a short car ride away. Favorite places on the Rogue? Because it’s where I really started to understand it, and love it, the recreation section between Ennis Riffle and Grave Creek. There is a wonderful community on the Rogue, but they are a touchy bunch for a reporter. You have to prove yourself a little first — show the ability to catch a fish or run rapids — before they’ll even consider your membership. Even then, it depends what you’re writing about. 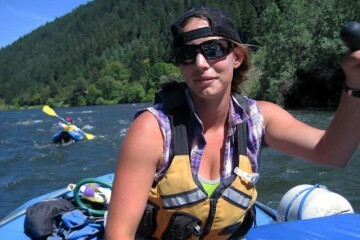 It can be a love-hate thing, but my only jealousy is reserved for Rogue River guides. 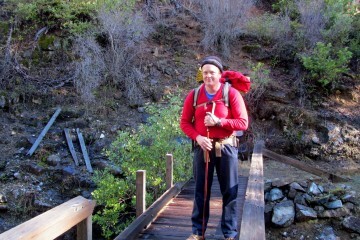 I was mostly a backpacking / climbing / fishing / hunting guy when I arrived in Southern Oregon. 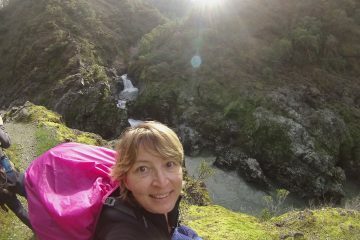 The Rogue inspired a love of river-running that has become a major part of my life. What is the personality of the Rogue? Depends on the section. 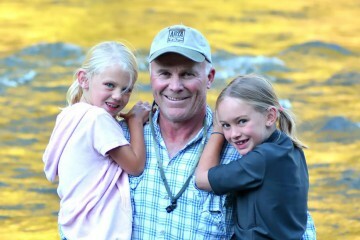 The North Fork (Upper Rogue) is fast and reckless, very much like a teenager. The longer its around, or the lower you get, the more complex it becomes, alternating between anger and mellowness and depth, pretty closely mirroring the condition of your standard adult human. 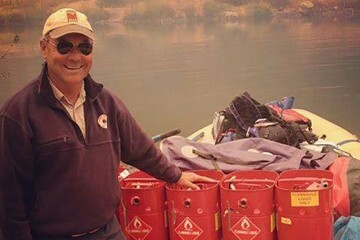 Years ago, my friend Larry Cathy and I ran the entire wild section of the Rogue River in one day … in those old-school orange torpedos. 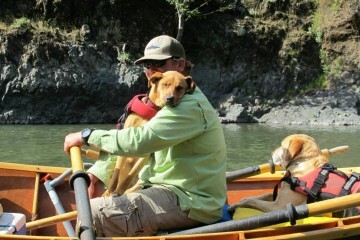 It was pretty exhausting, and Larry took an awful swim at the beginning of Mule Creek Canyon. It shook him pretty bad, and he was weary about running Blossom Bar right after. But after a pep talk he did it — catching the eddy and making it around the Picket Fence with smoothness and no drama. 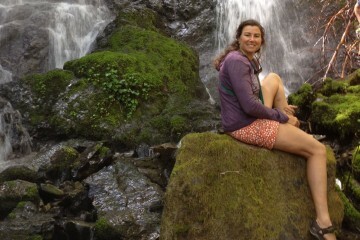 We celebrated at the bottom of Devil’s Staircase with cold beer. It was a great moment. 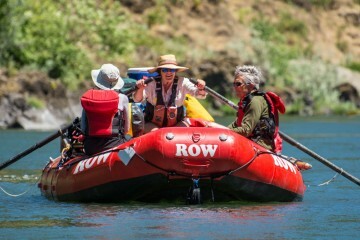 Just the adrenaline and triumph and exhaustion of paddling 33 miles of the Rogue in 100 degree sunshine. 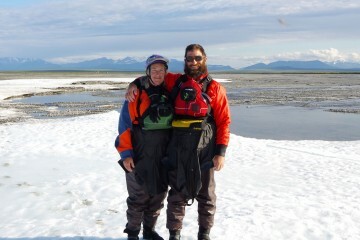 Later, when he had stage 4 cancer and knew he’d probably die within the year, he said he thought of that trip often. It was one of his favorite memories during the soul-sucking awfulness of radiation and chemotherapy treatment. It’s one of my favorite memories as well, now that he’s been gone three years. 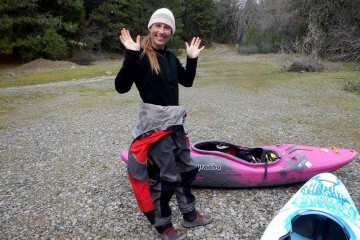 I remember my friend, discouraged but defiant, paddling into Blossom Bar. LONG LIVE SEVYLOR ORANGE TORPEDOS!